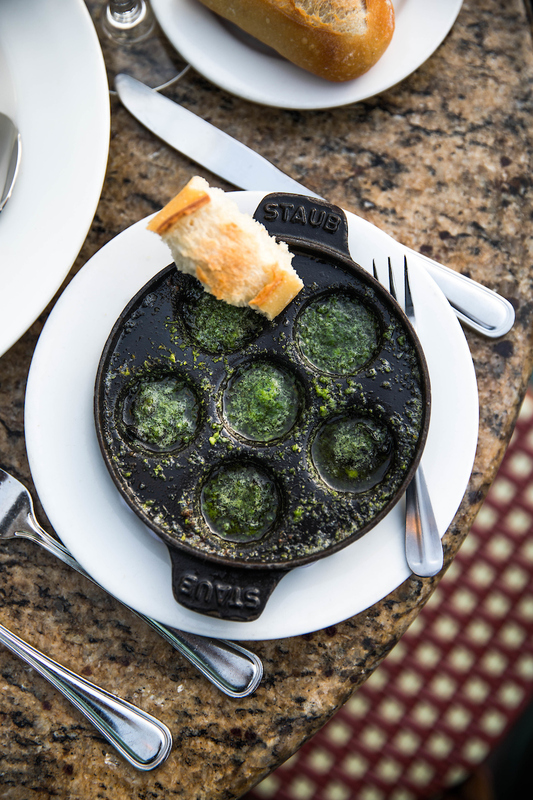 Since 1998, Mon Ami Gabi has been serving up French classics like our signature Onion Soup Au Gratin, Escargots de Bourgogne and Steak Frites in the heart of Lincoln Park. This month we celebrate our 20th anniversary with two very special events including a sunset evening on the patio and a five-course ode to Gabi’s classics wine dinner. 1. 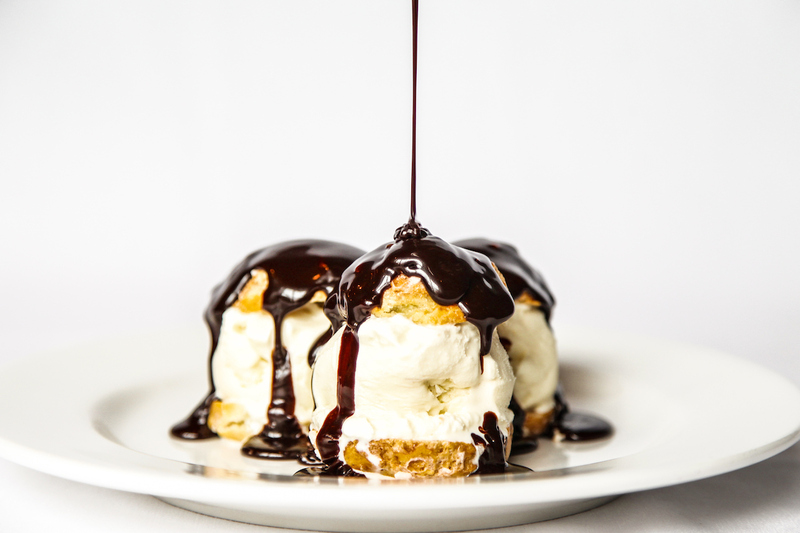 The inspiration for Mon Ami Gabi came from family meal at Ambria. 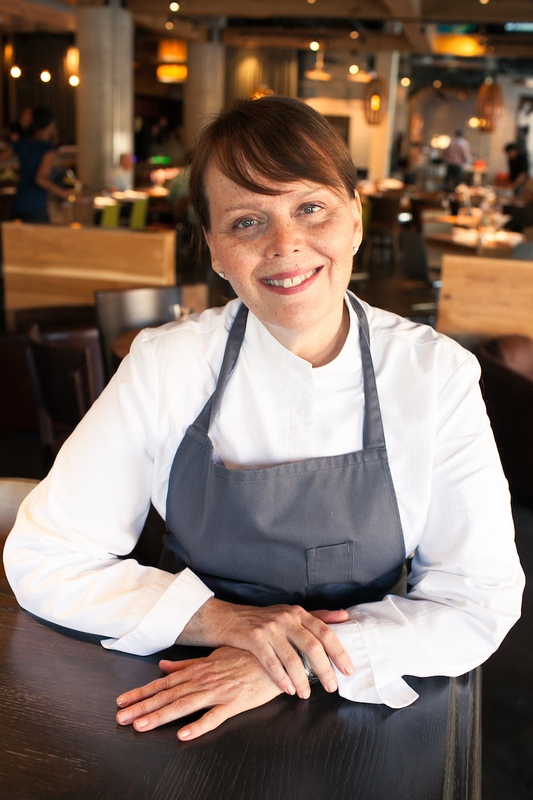 “We had opened Ambria in 1980 and I loved the staff meals they’d have before service. 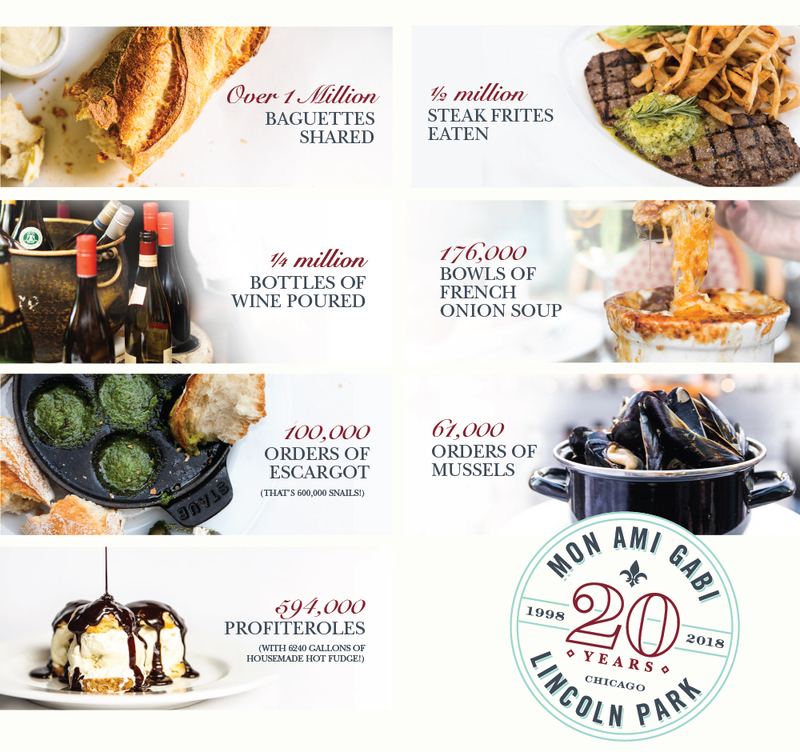 They were doing French bistro food cooked by guys that were trained in classical French cooking and that is how the idea for Mon Ami Gabi was born,” as told to us by Rich Melman, Founder of Lettuce Entertain You Enterprises. Mon Ami Gabi means “My Friend Gabi” but who is “Gabi?” you ask? The restaurant is named after Chef / Partner Gabino Sotelino, but did you know that we can give credit to famed Chef Jean Banchet from Le Francais for the restaurant name? Chef Banchet pulled up to the restaurant before we opened and called out, “Hey mon ami Gabi, how are you?” It was Martha Melman (Rich Melman’s wife) who pointed out how catchy the phrase was. And the rest is history. 3. Chef / Partner Gabino Sotelino lived in France from 1959 – 1961. His time spent abroad in Paris inspired him to open up a bistro of his own in America one day and Lincoln Park thanks him for it. 4. It’s all in the family. Today, it’s Chef Gabino’s son, Mark Sotelino, who is the supervising partner that oversees Mon Ami Gabi. 5. 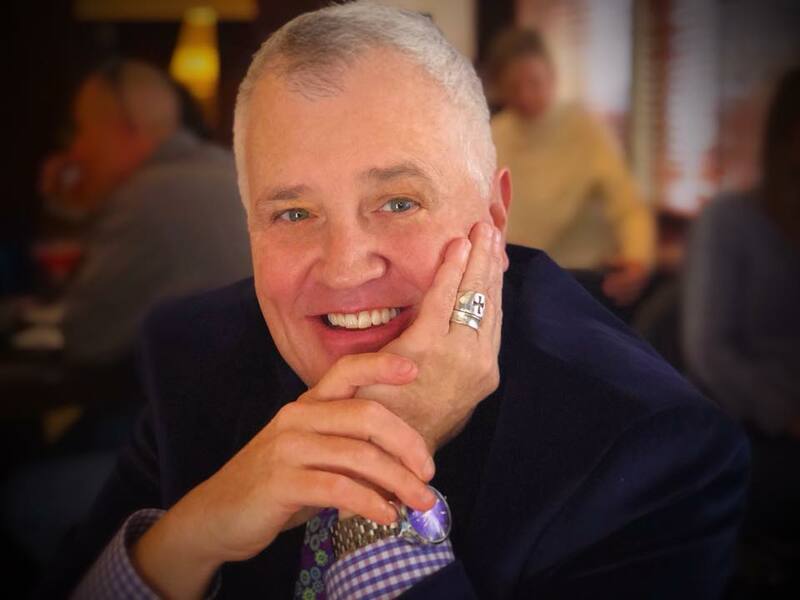 Did you know that Lettuce Entertain You’s CEO, Kevin Brown was the opening General Manager at Mon Ami Gabi? 6. We are grateful for our employees, especially those like John Mahady who have been with us since day one. 7. Our regular guests also feel like family. We are lucky to have guests that visit us weekly (even several times a week) and it is their loyalty that makes Mon Ami Gabi and friendly neighborhood bistro. One of our regulars, Sam Herscovitz lived in the Belden-Stratford for more than 75 years and dined with us six nights a week at his favorite table – Table 30. 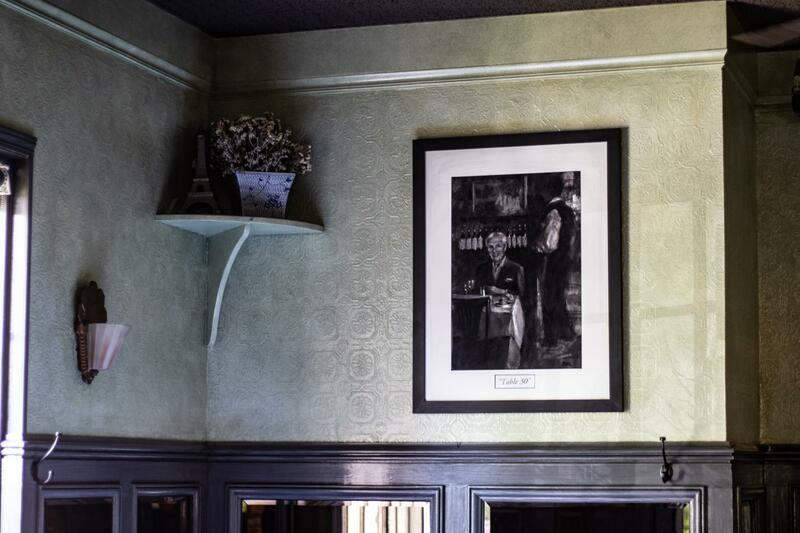 Today, the private events space in the restaurant is named after Mr. Herscovitz and a portrait of him hangs over Table 30. 8. In addition to being a renowned chef, Gabino also is a … gardener?! 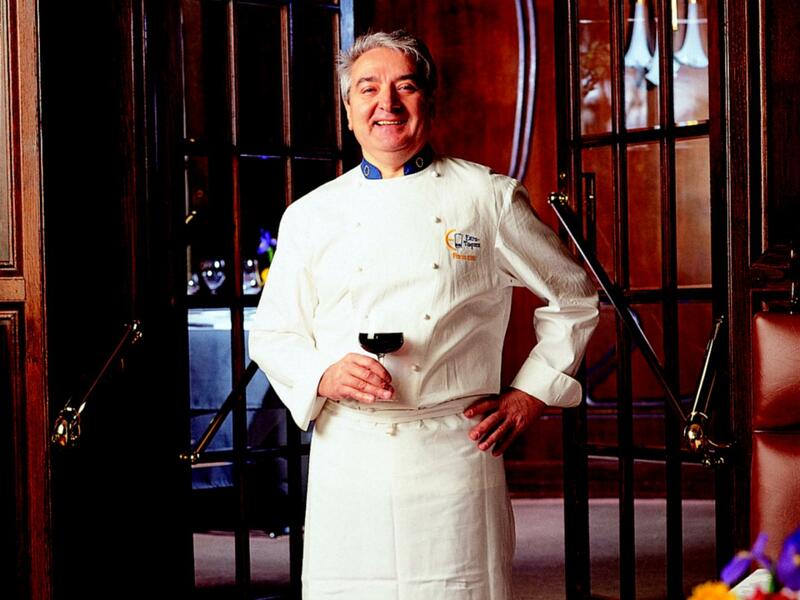 In 1983, Chef Gabino planted a tree outside of Un Grand Café (which is now Mon Ami Gabi). 30 years later, the tree stands tall and provides shade for guests on the patio. 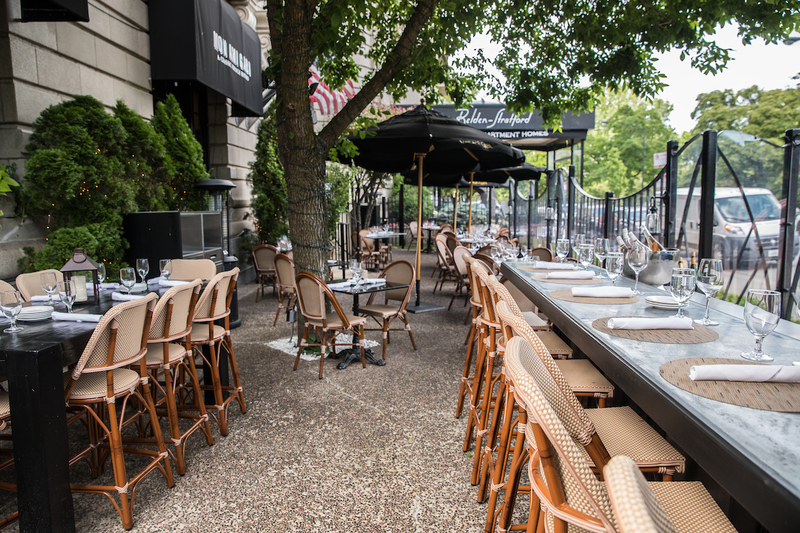 On Tuesday, June 19, Mon Ami Gabi celebrates their 20th with Veuve Clicquot Rosé’s 200th year on the patio as the sun sets. Signature Mon Ami Gabi hors d’oeuvres will be prepared by Chef Nelli Maltezos and paired with rosé and Yellow Label brut. $65 per person plus tax, gratuity not included. Click here to view more information on the event. 10. 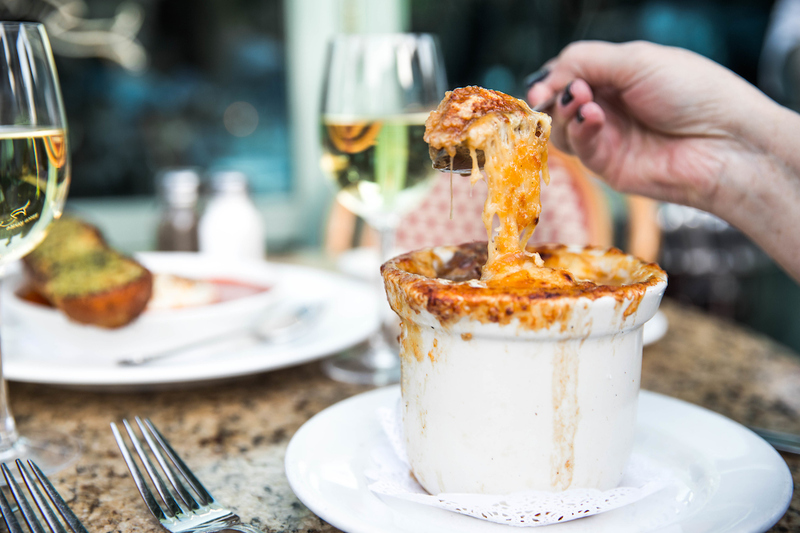 Our classic dishes have stood the test of time. Half of our menu today is composed of items from the original 1998 menus. It seems that French classics never really go out of style! 12. We’re celebrating these classics on our anniversary, June 27, join us? 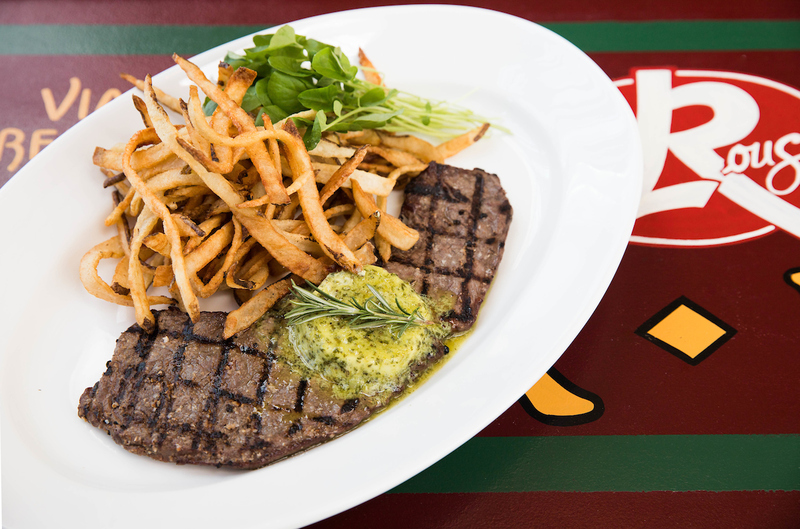 On Wednesday, June 27 Mon Ami Gabi is offering a special five-course menu that highlights the best of Gabi’s classics alongside new seasonal dishes. The menu will spotlight the dishes that have been on the menu since day one in addition to and seasonal items all paired with boutique French wine. Click here to learn more about this special dinner and make your reservation. 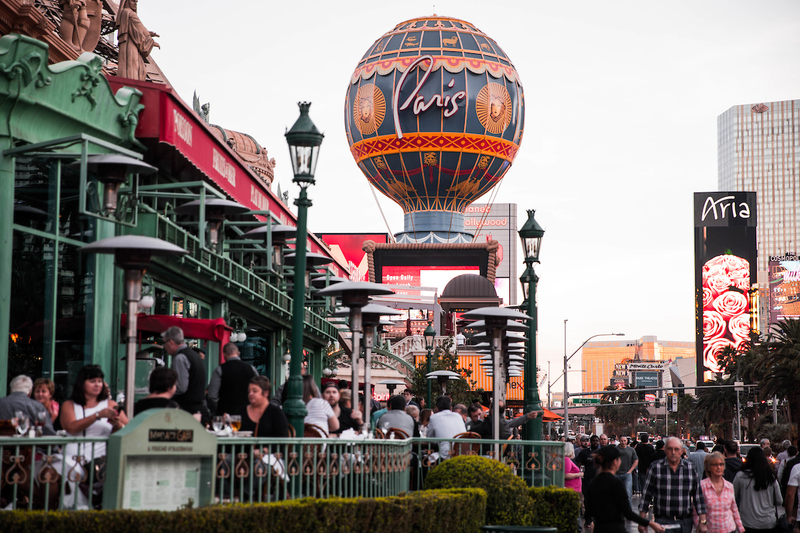 While Chicago’s Lincoln Park was the first Mon Ami Gabi to open, there are four other locations including Las Vegas, NV (have you heard about this patio?!? ), Oak Brook, IL, Bethesda, MD and Reston, VA.
14. Before Mon Ami Gabi, there was Un Grand Café. Mon Ami Gabi opened up in the former Lettuce Entertain You restaurant Un Grand Café space across the hall from Ambria. Un Grand Café was a French brasserie that opened in 1981. 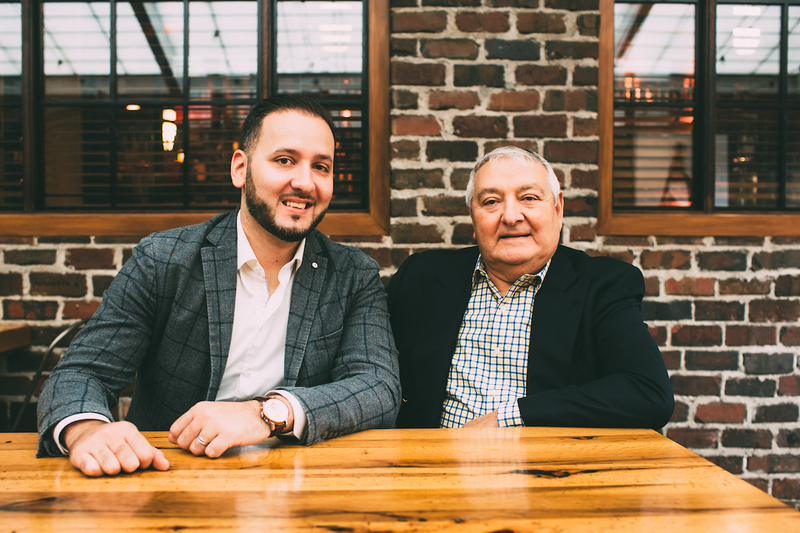 The first day Mon Ami Gabi opened, we had guests waiting in line to get a new look at the space, we were so excited to introduce the new restaurant to the neighborhood. 16. The Belden-Stratford building, home to Mon Ami Gabi, used to be a hotel. Marlo Thomas, Rita Moreno, Michael Keaton, Spanish Conductor Plácido Domingo, Susan Sullivan and the cast of My Best Friend’s Wedding, were among the many who stayed at the Belden-Stratford and dined at Mon Ami Gabi. 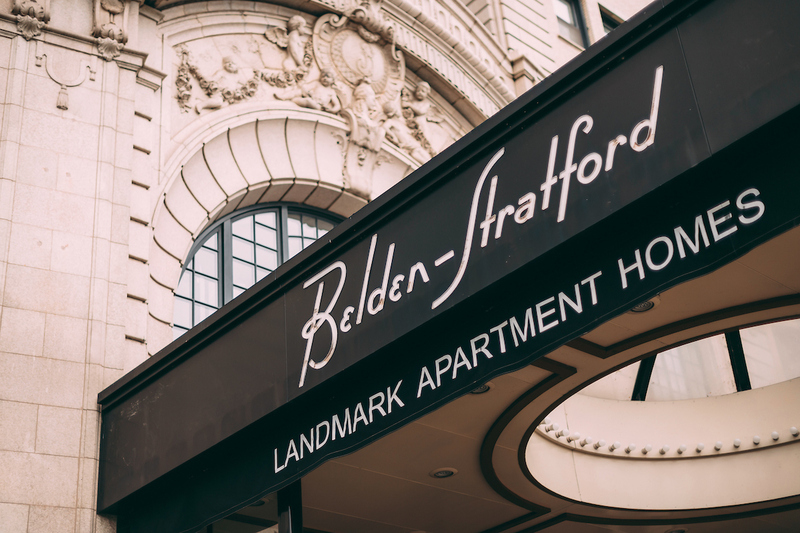 The Belden-Stratford was built in 1922 and has been placed on the National Register of Historic Places by the United States Department of Interior. 17. All wines are handpicked by Gabino. 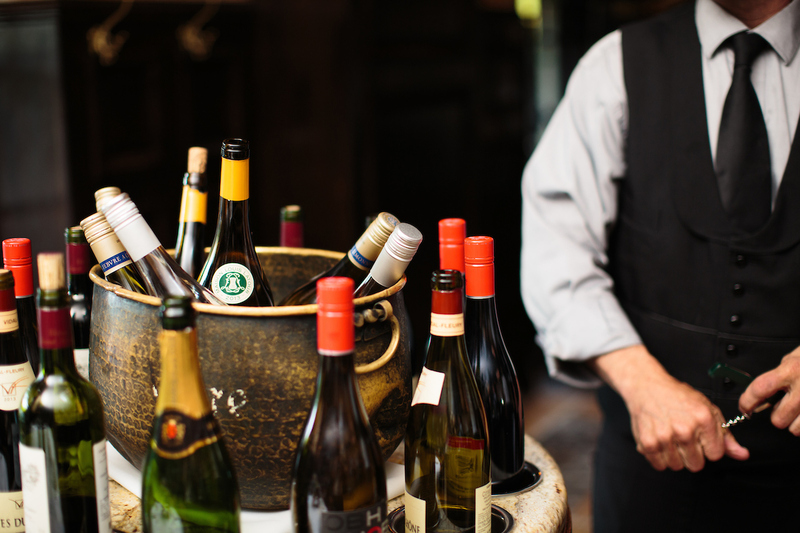 With a selection of over 80 boutique French wines, it takes a lot of work to keep the list fresh with new varietals. Chef Gabino tastes through each wine, carefully selecting those that make it on the list. He’s clearly done something right because to date, there has been more than 250,000 bottles of wine poured at Mon Ami in Lincoln Park. 18. This restaurant has some serious female power. Chef / Partner Susan Weaver and Executive Chef of Mon Ami Lincoln Park Nelli Maltezos are the part of the team behind the seasonal specialties not just for the Lincoln Park location, but for all five Mon Ami’s. Also part of the team is Pastry Chef Erin Mooney (you might know her cookies at Summer House Santa Monica) who creates the rotating desserts. In addition to our chef team, Mon Ami Lincoln Park Catering Manager, Jessica Cavanah and Office Manager, Kathy Mastronicola are Lettuce lifers. Kathy just celebrated her 34th year anniversary with the team and Jessica celebrated her 11th. 19. Because there are so many ways to rosé this summer on the patio. 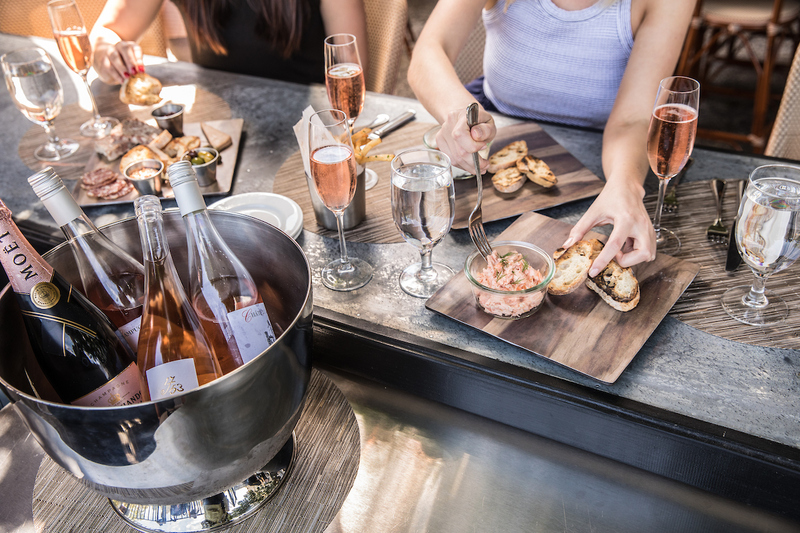 Last summer, Mon Ami Gabi launched a six seat rosé bar on the patio complete with our sommelier’s selection of rosé, wines and seasonal cocktails alongside a special bar bites menu available Friday – Sunday (weather permitting) from 3PM – 5PM. 20. Enter to win a Chicago Staycation. In celebration of our 20th anniversary, we’re giving away a two night stay at Hotel Zachary in the historic Wrigley Field neighborhood, a $500 gift card to Mon Ami Gabi and two Chicago Cubs tickets to one lucky guest! To enter for your chance to win, click here. We want to say THANK YOU to our loyal Mon Ami diners over the past 20 years. We love being your neighborhood bistro and we hope you will join us this month as we celebrate our anniversary. 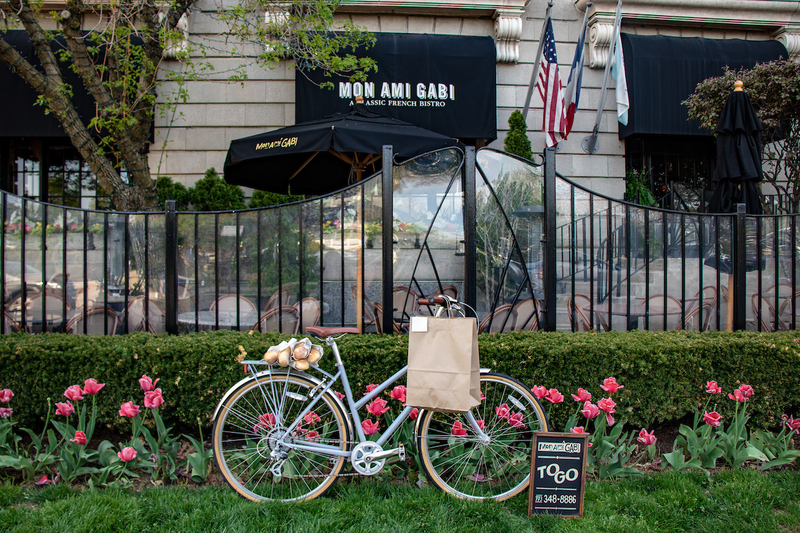 To make a reservation at Mon Ami Gabi, click here.